Is WebEx down at the current time? Check the status of service if you got it not working, we update you if any outage exists there. WebEx from Cisco provides on-demand services for online meetings, collaboration, video and web conferencing portfolio. The products which are available for customers include WebEx Training Center, WebEx Meeting Center, WebEx Event Center. In addition to above WebEx Enterprise Edition, WebEx Support Center, WebEx Sales Center and WebEx Connect are also available. All of these products are the part of Cisco Collaboration Portfolio. If you got the error or problem with any of the service. You must check the status of that specific WebEx service. So, we have created this page, which helps you to get updates about the service status. 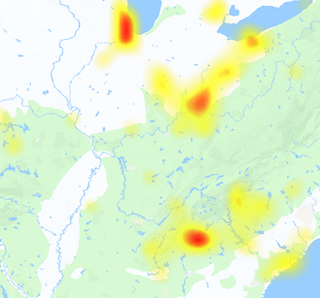 Further more if there is WebEx outage the reddish color shows the on going current problems. The map is also available to show you the areas which are generating more complaints about service. 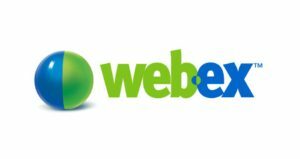 If you have anything to share and want to add anything about WebEx service problem OR performance. Then you can use the comments section below to express your thoughts and make them read by others. @cmags84 Hi Charlie, thanks for reaching out. Will you DM us your account # and contact info so we can look into this issue? @Moisturelicious Please try accessing the site again as this issue is intermittent. @Tedgorsline Sorry for the inconvenience, Ted. Please try accessing the site again as this issue is intermittent.